Over 20 years and probably over 1,000 students, I’ve realized that everyone who comes through the Biomedical Equipment Technology program at Texas State Technical College Waco has their own story. Many things lead them here and the overwhelming majority of them become successful technicians and managers. Many of them stop by or call me from time to time to catch up or to hire graduates. Some I remember very well for various reasons and some I don’t remember so well. Maybe it is because they were quiet students or maybe it is just because I am getting old. One particular young man, who will be graduating in April of 2018, has a remarkable story and was featured on the local news. 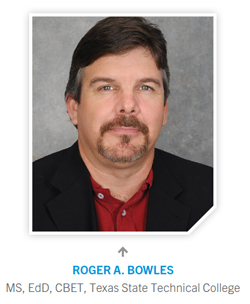 There is no doubt that he will make tremendous contributions to Healthcare Technology Management. Talgat Pate came to the United States about 13 years ago, at the age of 8, from Almaty, Kazakhstan, a former Soviet Union Republic. He and his brother were adopted from the same orphanage and his first language was Russian. His mother homeschooled him the first year in the United States and today his English is almost perfect. Talgat has 10 siblings in all, 5 sisters from Bogota, Colombia, another sister from foster care, and 2 brothers. His parents had three biological children and adopted 8 children. Currently, he is doing an internship with CardioQuip and happy to be the face of the company to its customers. When asked what he likes best about the HTM field, Talgat says he enjoys not only using his hands but also getting to meet so many different people. And he enjoys the fact that learning is a constant in this career field and, in order to improve, biomeds are required to keep learning. Talgat speaks very highly of his parents, who adopted him from the orphanage. “They were the first people to love me for me,” he says. He states that there was no compassion at the orphanage and he is grateful for the opportunities he has been given. Although I didn’t know Talgat’s story until recently, it was obvious to me from the start that he was going to be a successful student. His level of optimism and enthusiasm about learning new things is not seen in every student. Plus, I’ve never seen him without a smile on his face and that attitude will serve him well. And handle it they did. They researched, made several phone calls, and came back with the solution (which I didn’t know myself). Problem solved. This is the kind of ownership of problems that will make him successful. Those of you who would like to see the local interview with Talgat by Ann Harder of KXXV can view it on her Facebook page.